Work that inspired me was that of Henri Mattise ‘The Inattentive Reader‘ 1919, Auguste Renoir ‘Peaches and Almonds’ 1901 and William Ratcliffe ‘Attic Room’ 1918. I think that these three artists demonstrate to use of very different styles of painting, all of which appeal to me and will continue to inspire me during my degree. Indeed there were sharp angles everywhere I looked, be it the floor, the ceiling, the walls, the pillars and the ascending stairs. Just by standing in the space I could appreciate what Parent had achieved: To make us reconnect with our surroundings in an alternative way. Instead of walking with ease around a gallery space, I now had to climb up ramps, slide down walls and appreciate artwork on different physical levels. This was now an interactive space that displayed artwork: I was not only admiring the work on the walls (It became a task to locate all of them) but I was admiring and constantly thinking about the beautiful architecture on which they were displayed, they viewing of artwork became an enjoyable and pleasing experience. Aimee Desmond, Fine Art student. 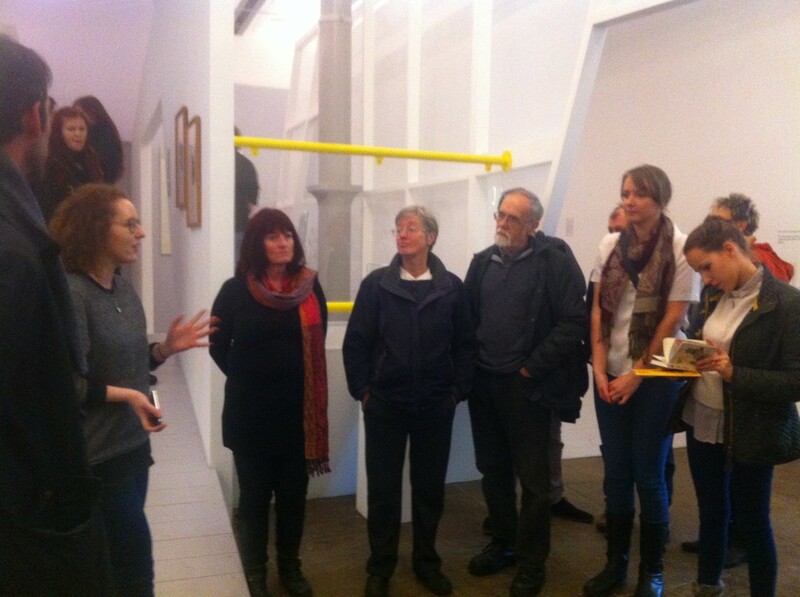 Photograph: Stephanie Strain, Tate Liverpool's Assistant Curator, gave the Live at Lica staff and supporters an insight into the Claude Parent exhibition.